Born at Haddington, Scotland on 19 April 1843, son of James Herriot and Janet Wilson, he emigrated to Canada in 1850 and settled at Galt, Ontario where he apprenticed as a millwright then worked as a mechanic. 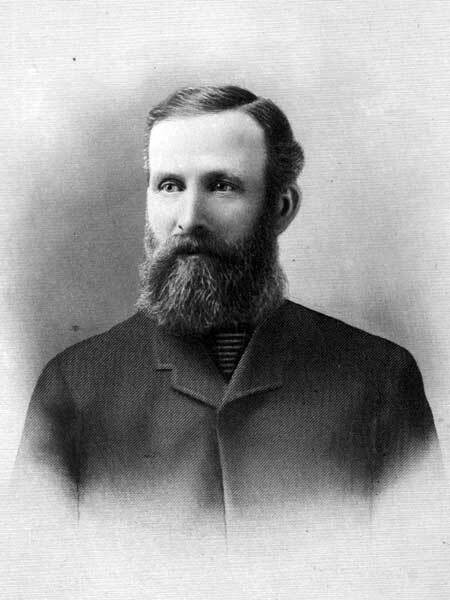 He came to Manitoba in 1880, spent two years at Minnedosa then moved to Souris where he engaged in the flour milling business with George McCulloch, known as Glenwood Roller Mills. The partnership dissolved in November 1903 when Herriot sold his share and retired. He served for four years as the Reeve of the Rural Municipality of Glenwood, and a year as a councillor on the Souris city council during which time he was chairman of the Public Works Board. He was a candidate for the Avondale constituency in the 1892 provincial general election but was defeated by James H. Hartney. In 1883 he married Dorothea “Dora” Mihm (1862-1944) of Waterloo County, Ontario. They had six children: Janet Herriot (1885-? ), Martha Herriot (1887-?, wife of Edgar Hunter), Alfred W. Herriot (1889-1967), Alexander Herriot (1891-? ), Lena Dorothy Herriot (1893-?, wife of Patrick McCabe), and Mildred Isabel Herriot (1899-?). He was a member of the COF. He died at Souris on 17 September 1927 and was buried in the Souris Glenwood Cemetery. “William Herriot, Souris, succumbs,” Manitoba Free Press, 22 September 1927, page 5.